GI Bill Update, TMP Registration Now Open! We'd like to begin this newsletter by saying goodbye to a dear friend and longtime supporter, Trish Fry. She will be missed dearly. It has recently been brought to our attention that an individual or individuals have launched a scam targeting folks who support the military. Find out more, as well as how to protect yourself, in our second article. Spring is almost here, and that means it's almost time for Team Marine Parents' 2014 season to kick off! To learn more about the team or to sign up today, please read our third article. Multiple agencies have recently partnered to provide increased protection for GI Bill users. Learn more in our fourth piece. 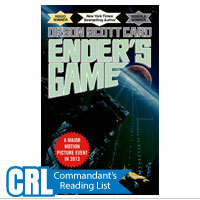 Finally, we end with a number of "quick read" pieces. 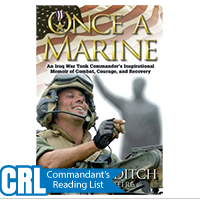 These pieces cover a wide variety of topics related to the Marine Corps so at least one is sure to pique your interest. 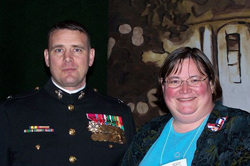 Trish at the Marine Parents conference in St. Louis, MO (2007) standing next to Col. Bryan McCoy. 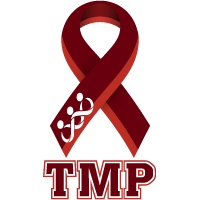 Trish Fry, a longtime volunteer at MarineParents.com, passed away on January 25, 2014. Trish volunteered for our organization for eight years and logged nearly 3300 volunteer hours. She worked in the online chat room for many years, as well as in person at the corporate office for 6 years. Upon her death, Trish was just a few hours short of reaching her life-time Presidential Volunteer Service award. Trish Fry was an incredible woman with a huge heart and a strong conviction of not only helping others, but of giving to others as well. Each year for the past several years, Trish's birthday wish was to attend the January Care Package Project pack day in Columbia, MO, at the MarineParents.com corporate office. It was a seven hour drive (each way!) and she made it every January that the weather didn't prevent her from doing so. She always brought friends and new people to share her excitement and the good works of the organization. Trish's dedication to the organization didn't stop with volunteering, but rather continued in her work of tirelessly making "Marine Mom" bracelets, the sales of which supported the outreach programs of Marine Parents. Those who are lucky to have one of her bracelets have a piece of Trish's heart. 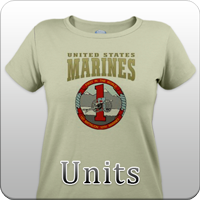 Her pride in the Marine Corps was incredible; her pride in her Marine son, Erich, was over the top. She loved her family and she loved her country. Trish was a true patriot. We will all remember her with love and cherish the fond memories of our time with her. We will miss you Trish. Rest in peace friend. It has recently been brought to our attention that an individual or individuals have launched a scam targeting folks who support the military. An individual is asking people to send money via Western Union to a site in Texas under the pretense that the money will then be transferred to the accounts of individual Marines in Afghanistan for use in the barracks store. This is simply not true, as no legitimate organization would solicit donations in such a manner. 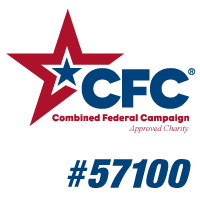 To avoid falling victim to scams such as this, we highly recommend ONLY giving to an approved 501(c)(3) organization, as this way you can be sure your donation is going where you want it to. 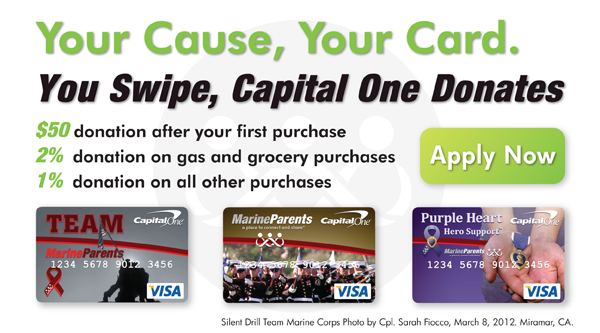 Team Marine Parents' 2014 registration is now open! Please click the link below to learn more about how you can join the team or to sign up today! 2013 was our most successful year ever and with your help, 2014 can be even better! On January 30, the Departments of Veterans Affairs, Defense, Education and Justice, the Consumer Financial Protection Bureau, and the Federal Trade Commission announced the launch of a new online complaint system designed to collect feedback from veterans, current service members, and their families who are experiencing problems with educational institutions receiving funding from federal military and veterans educational benefits programs. The online reporting system will provide the federal government with the feedback necessary to identify and address unfair, deceptive, and misleading practices while ensuring high-quality academic and student support services to eligible participants. 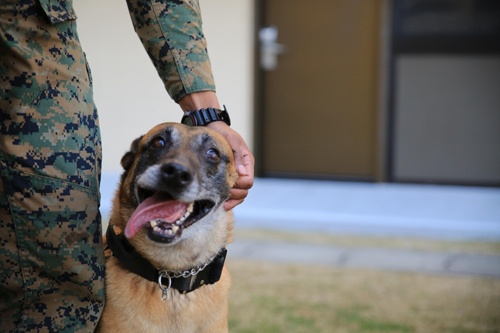 Azra, a military working dog aboard Marine Corps Air Station Iwakuni, Japan, is just one of many dogs this could potentially positively impact. 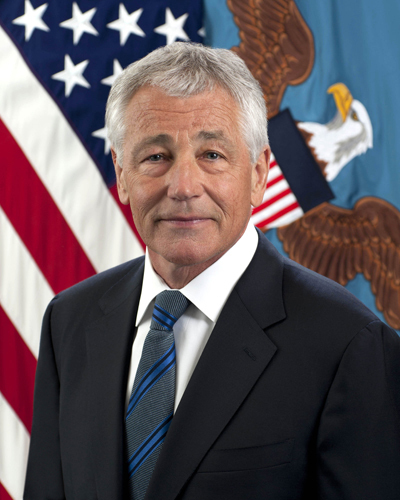 Secretary of Defense Chuck Hagel. Secretary of Defense Chuck Hagel, recipient of two Purple Hearts as an infantry sergeant in Vietnam, has recently decided to launch a review of all military medals and awards, according to an official at the Pentagon. The review has been ordered amid debate among military officials on how to appropriately recognize drone pilots, cyber warriors and others who may have had a direct battlefield impact from a distance and without exposing themselves to physical harm. In 2011, a coalition of companies came together and pledged to hire 100,000 military veterans within a decade. It only took three years to surpass that goal, as on January 30 it was announced that those companies have already hired more than 117,000 veterans. Now, the group has changed its goal to hiring 200,000 veterans by 2020. After years of research, military food scientists are closing in on developing one of the most requested MRE items ever--pizza! 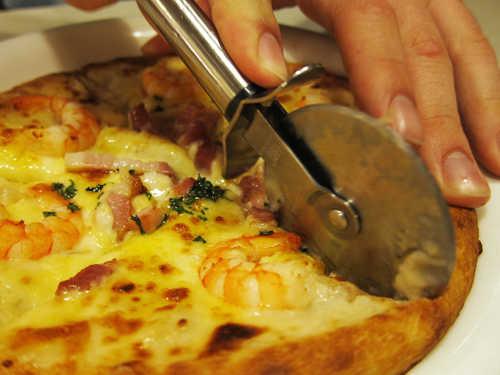 It was a long, difficult process, but scientists have finally found a way to ensure that, for three years, the sauce will not soak into the crust and that the MRE will still taste like pizza. Now that the MREs have been created, the next step is to field test them around the country, presumably among infantry members, as officials want the opinions of people familiar with MREs. For now, this is an Army project, but with all branches using MREs, the Marines may be enjoying these quite soon as well. With security fears surrounding this month's Sochi Olympics mounting after it was announced last month that "Black Widow" suicide bombers may have breached the security perimeter set up by Russian defense forces, the U.S. military has prepared itself for a potential rescue operation in case of a terror attack. In the event of an incident, the U.S. Navy has two ships stationed nearby in the Black Sea and C-17s at Ramstein Air Base in Germany prepared to aid in an evacuation. Additionally, special-operations units based in Stuttgart, Germany and U.S. Marine crisis-response teams in Spain are on standby should their services be needed. The Marine Corps has recently announced that it will be naming a building after one of two Marines to earn the Medal of Honor in Iraq and Afghanistan. Next Tuesday, February 18, 2014, Cpl. 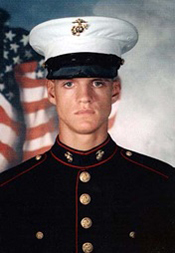 Jason Dunham Hall will be unveiled in a ceremony at Marine Corps Air Ground Combat Center Twentynine Palms, California. Dunham received his Medal of Honor for heroism in Iraq in 2004. While conducting a reconnaissance mission in Karabilah, Iraq, Dunham and his squad came under enemy fire and saw cars fleeing the area. As they stopped the cars to search them for weapons, an Iraqi insurgent attacked Dunham and dropped a grenade during the ensuing hand-to-hand struggle. Dunham threw himself on the grenade and absorbed most of the blast, saving the lives of at least two of his comrades. 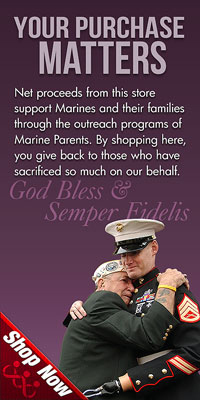 Join Team Marine Parents Today! Do you know a Federal employee? Banner Photo--Marine Corps Mountain Warfare Training Center, Bridgeport, Calif. - - Marines from Golf Company, 2nd Battalion, 2nd Marine Regiment, 2nd Marine Division load a waiting CH-47 helicopter, which will insert them at a high elevation landing zone for the final field exercise for Mountain Exercise winter training package at MCMWTC Bridgeport, Calif. , Jan. 31, 2014. The Warlords and its attached units underwent the winter training package at MCMWTC to prepare for the upcoming a multi-lateral joint and combined exercise Cold Response, which will take place in March of 2014 in Norway. (Photo By: Lance Cpl Cesar N Contreras).